Another very quick HuMP ascent today. 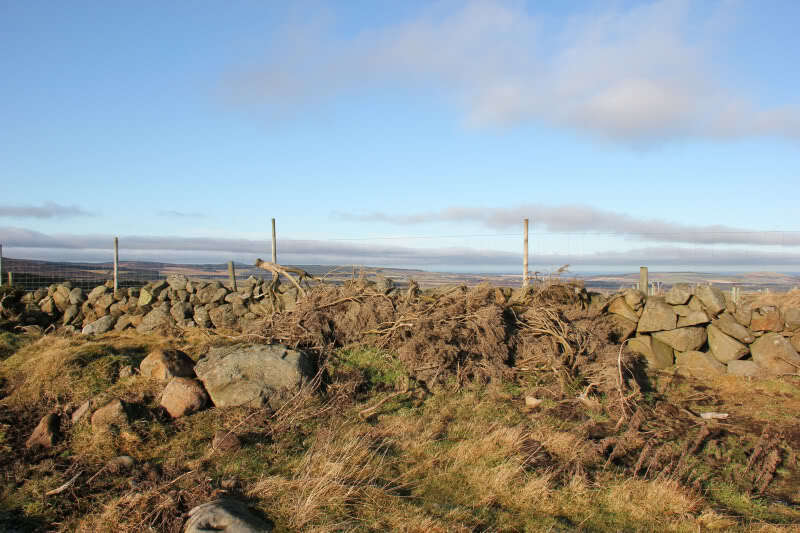 Today was the second time I have set out to ascend Wether Hill. The first time I took Beinn with me - only to find that Wether Hill is basically the top of a farmer’s field, so I turned back. Today I set out on my own. Just over 4 miles / 5 minutes drive from home and I arrived at the start of the walk. It would be nice if all hills were this close to home! There is very limited parking around this hill. I parked just off the road beside the turn-off to Sunnyside farm. 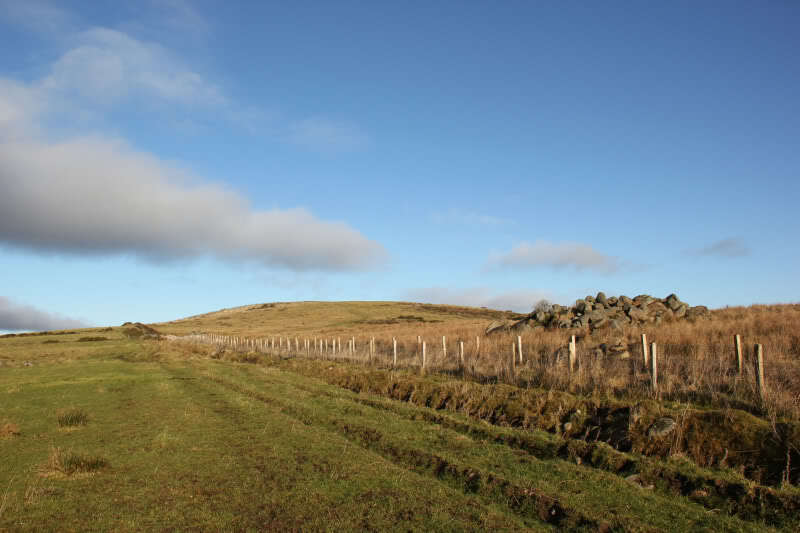 Climb over a gate, walk across the field alongside the fence. 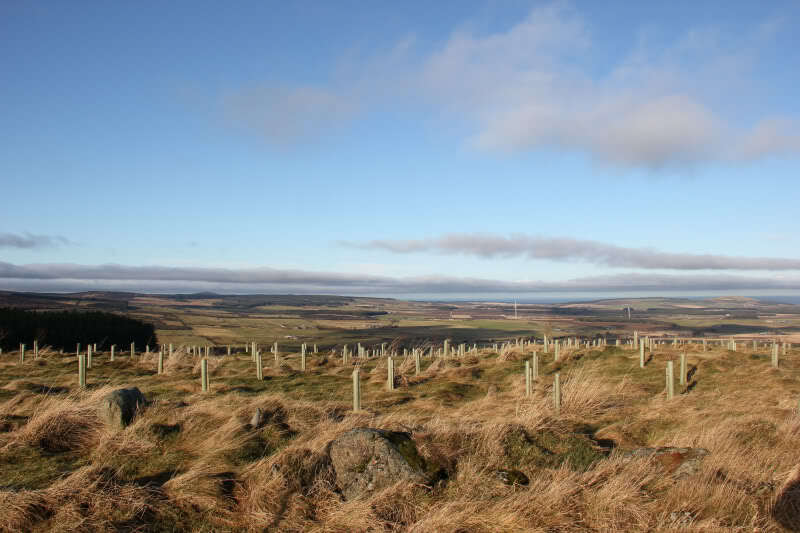 Pass through an open gate and then walk up a second field, alongside some newly-planted trees, to reach the summit. 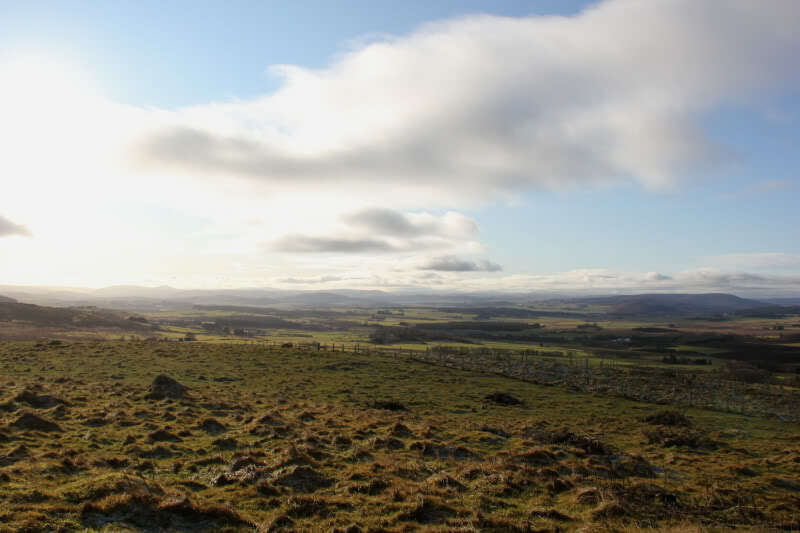 The views are dominated by nearby Knock Hill (Marilyn). 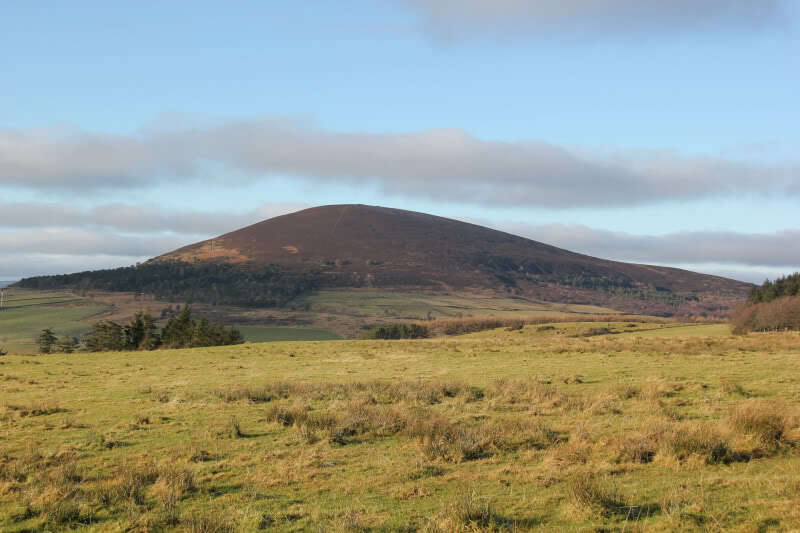 According to the Database of British Hills, the summit is a “knoll on old fenceline”. To be honest, it wasn’t obvious where the highest point was and on which side of the six-foot deer fence. 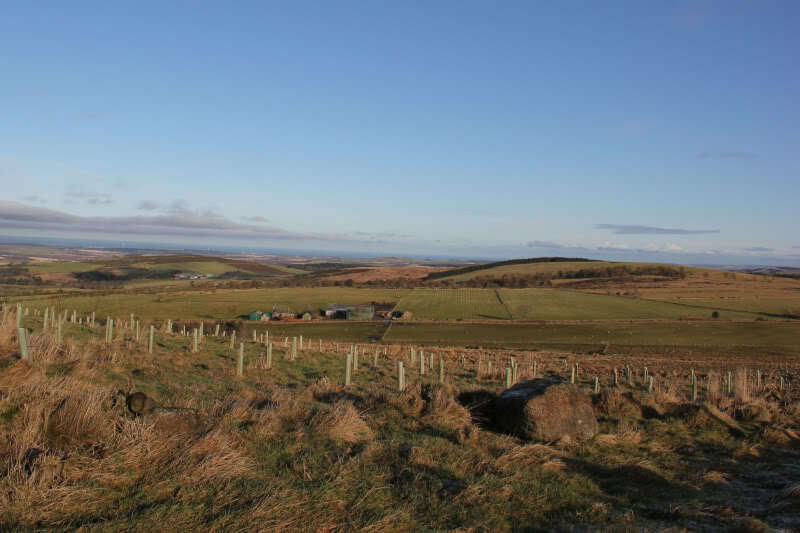 I therefore had a wee walkabout on both sides of the deer fence to be sure of summiting. 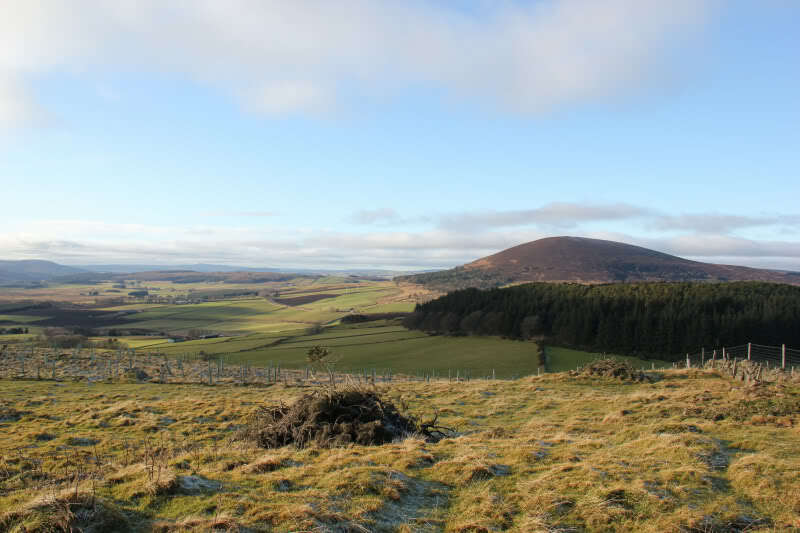 While it's fine to get up some close-to-home hills I can’t say that I’m inspired by these Banffshire HuMPs thus far!